Appliances and fixtures don’t need to contribute to a scene of dullness. In fact they can serve to provide wonderful contrast. Stainless steel is perfect. Also a neutral, it offers the element of textural notice. Add metal cabinets for further contrast and add an industrial/commercial vibe combination. The ultimate compliment to the neutral scheme would be marble (or faux marble) countertops and vintage black cabinets. Talk about a wide yet compressed spectrum of visuals, refined yet eclectic. It’s certainly not the norm, but shiplap style paneling can really overhaul your kitchens visual aesthetic. It’s detailing that requires no attention. It’s the multitude of uniform vertical panels that draws attention while not being overpowering. It works a s a style device in lieu of colorful paint. Use a moisture resistant and durable material like medium density fiberboard (“MDF”) for the walls and cabinets it does not warp like wood and is perfect for the demands of a kitchen environment. You can take your time picking the right tile for your kitchen. 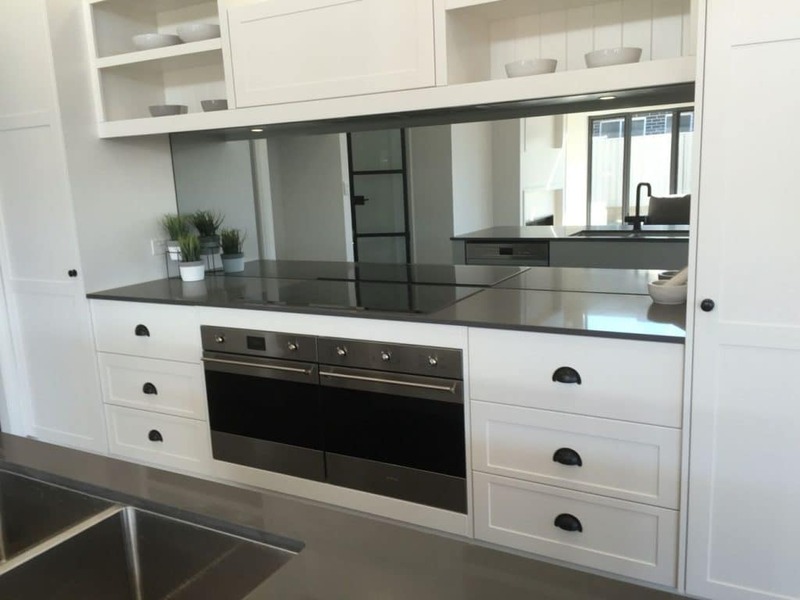 There is such a grand wealth to choose from, you will likely find one that is not just perfect, but actually exceeds your desired concept for the kitchen. Sure you can go with the classics like subway tile. After all, they work well in any kitchen design including traditional to contemporary. 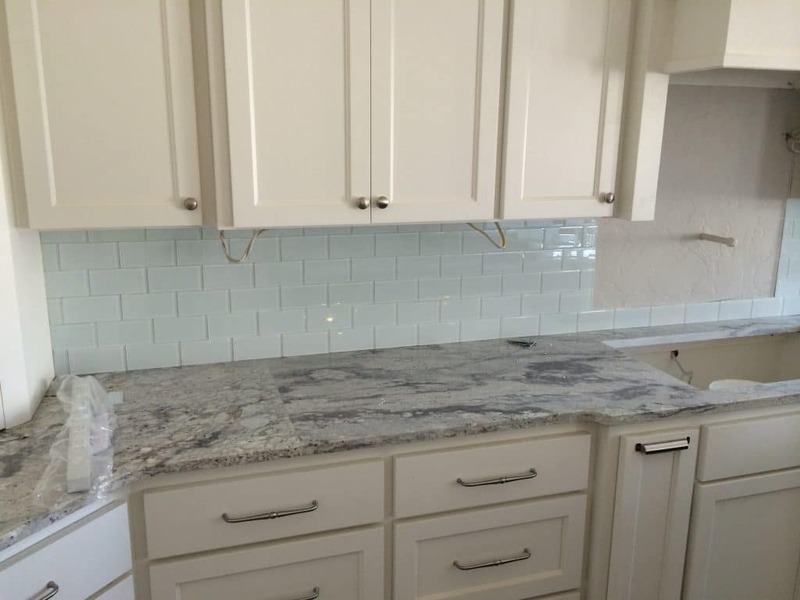 Tiled backsplashes are quite common and popular. To avoid becoming dated prematurely you might want to go with smaller and slimmer looks – they tend to be somewhat timeless. They may even be used to enhance certain elements like wooden shelves or granite countertops. It’s a common misconception that a neutral kitchen must be comprised of light colors only. Un contraire. In fact, it’s an excellent idea to use saturated shades that offer a bit of historic appeal. Blacks and grays such as those that may be used for cabinets work terrifically with light colored walls. It even serves to give the feeling of greater space. If you were to further do the backsplash in copper, you would have a true marriage of contemporary and traditional styles. Choosing the right wall paper is as important as picking the right materials for your cabinets surface. Find one with a soft hue or a subtle design that will work well with a primarily neutral kitchen. There are many choices you can make with wallpaper but its best to keep it light, maybe in two tones. Be mindful of accessories and how it all meshes together. Especially in kitchens of a single color, it’s little details that can make the most difference. If you have everything in the same shade the lines between them blur and they sort of fade into each other. Such a scenario requires certain finishing touches to give it a bit of framework. But, if you were to install mirrored backsplash juxtaposed by maybe brass handles, you’ll have plenty of shine to work with, and your light levels will increase overall, which would look great under a gray pallet. Combining two types of wood is an excellent way to mix up a neutral scheme. But instead of having the cabinet’s finished in a flat paint use a black stain that accentuates the grain more than any other. Matching countertops will provide the perfect cohesion in relation to the difference of the walls. Matching cabinets allow for color blocking and easy cleaning. Another great idea is the combination of similar paint shades. 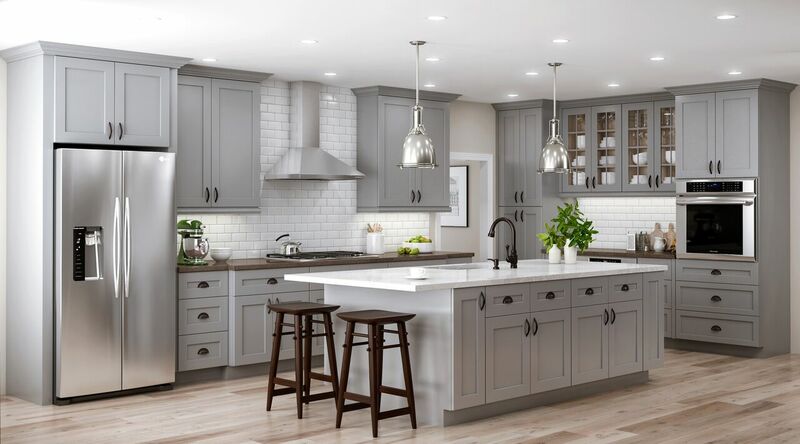 For instance, imagine gray pantry cabinets with kitchen cabinets a bit lighter taupe color. It’s a great way to incorporate subtle differences for an overall very tasteful scheme. Along these lines you may also try two tone upper cabinets and two-tone lower ones for a similar subdued effect. Of course there are completely other different approaches you can take that do not include modifying your neutral kitchen cabinets and walls. No, they work with the seating, more specifically the fabrics and textures. Imagine a black ad white striped sofa around a marble countertop surrounded by the neutral walls. Or simply fall to the floor with a ice area rug that has some color to it. The possibilities are endless – you are not limited by a neutral base color!